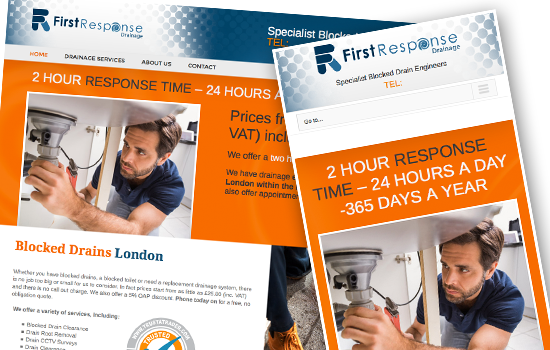 We have just completed a re-design for a specialist drainage company operating in London, Essex, Surrey and Kent. They were in need of a site up fast as part of an adwords campaign. Their old site was down so a new domain was chosen, new site built and old domain name forwarded to the new website all within a week.